Hello, and welcome to Employee Development Systems,. Our name says it all. We’ll develop your employees’ business and personal skills to help your business grow. For example, our Increasing Personal Effectiveness course shows key people within your organization how to achieve their potential by focusing on personal accountability, communication skills training and behavioral change. Our Communicating to Manage Performance Course focuses on feedback skills and performance for managers, and motivating your workforce to do more with less. 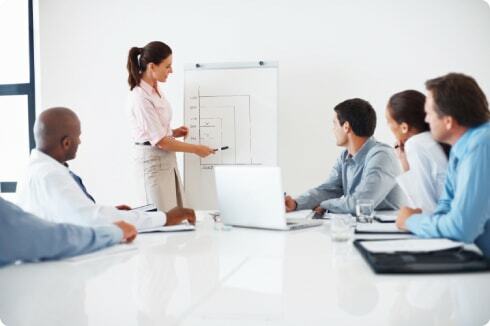 And all our courses are designed to help your employees work effectively with different age groups. We’ve been helping business for three decades. Please… see for yourself. Look around our website… then download our catalog and sign up for our newsletter today. Discover the difference Employee Development Systems courses will make in your business!